Allagash Guide Service has been providing Maine Hunting Trips, Canoe Trips and vacations to customers for over 30 years. We take great pride in working hard for our customers providing you with the vacation or hunt you have been planning for and dreaming about. Located at the confluence of the Allagash and St. John rivers we are on the boundary of zones 1 and 2 and operate exclusively within the North Maine Woods. We are locally owned and operated and work hard to provide our customers with excellent facilities and modern equipment to fulfill their expectations, as we expect on our hunts and vacations. Full time lodging, canoe rental, hunting, fishing vacations. Go to the website or facebook to see all, thanks Mike Paquette. 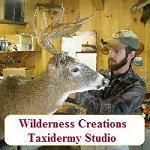 I offer customized hunting and fishing packages to suit any outdoorsman. From a typical bear over bait to your customized dream hunt, we offer it all. we specialize in moose and bear packages and offer special rates for active and retired military and their dependants. Full service hunting, fishing and recreation guide. We welcome gun hunters and archery hunters. Moose guide in all open zones. Canoeing Maine and Canadian rivers, specializing in school, youth group, adult and family canoe trips. 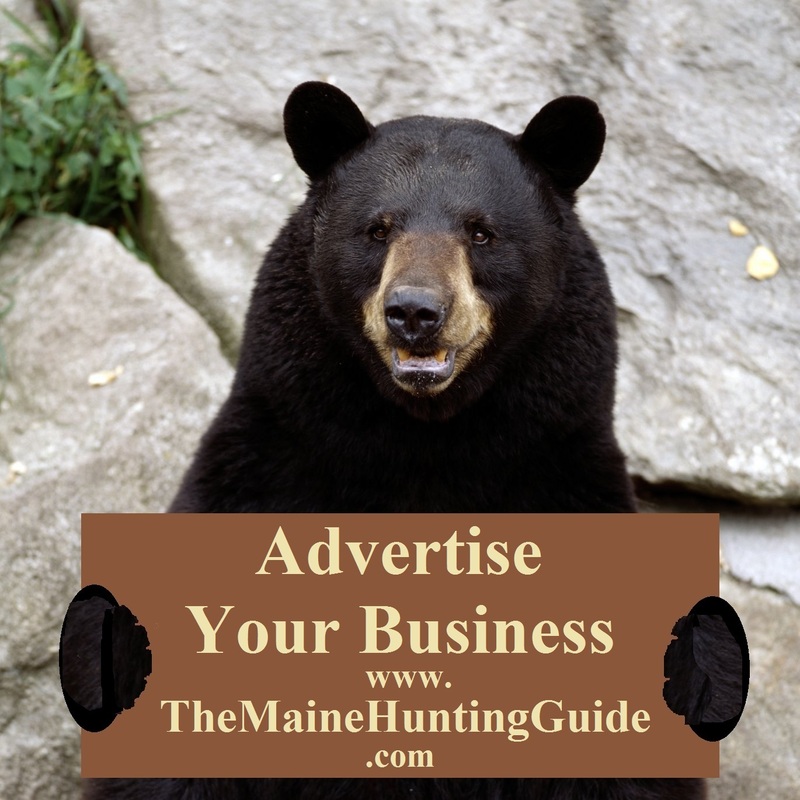 Guided Maine moose hunts & Fishing trips. While many good hunting locations are easily accessible, during the moose hunt, we can get off the beaten path on foot or by canoe on flowages and remote waterways in search of your trophy moose. We can quarter and pack out your animal if necessary. Cedar Creek Guide Service is one of Maine's Newest Outfitters. Located in Central Maine. We offer Moose, Bear, Deer, Turkey, Rabbit, and Upland Hunts, all for affortbale prices. Whether you would like lodging or not we can offer you many options to fit your needs. You'll be staying in a beautiful get away facility, where you can relax, kick back, and surround yourself with great people. All Military Veterans and Youths get 25% discounts on all the hunts we offer. Also Offering Bird Dog Training to get a new dog started, finished, or maybe just to brush a little dust off before bird season. Hope to hear from you soon! I guide moose and bear. Zones 1-6, also lodging and meat cutting. Specializing in goose/duck field hunts and snowmobile trips. We are the head guide service for All Seasons Lakeside Cottages on Long Lake in Saint Agatha. Join us for a stay at a beautiful lodge style cottage, do some awesome goose hunting or ride the best trails in maine! 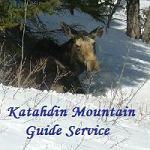 Katahdin Valley Outfitters of Maine, offers Black Bear Hunts, Whitetail Deer Hunts, Moose Hunts and Small Game Hunts. Fishermen, Snowmobile enthusiasts and Vacationers are also welcome. Our housekeeping cabin is centrally located for the hunter between the game rich old grown over apple tree laced farmlands and the "big woods". For the fisherman we are only a few miles from the Macwahoc lakes, Pleasant Lake and Mattawamkeag Lakes. We are right on top of streams that yield the Brook Trout fisherman, fishing opportunities all summer long. Katahdin Valley Outfitters is one of the few outfitters privileged to manage Black Bear in a continuous township. Because there is no other outfitter Baiting the Black Bear in Township 3 R4 we are able to keep our success rate well above average. 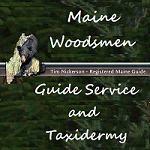 Maine Bound Guides is a full service guiding company located in the mid coast of Maine. We offer a diverse range of trips from half day nature explorations to multi-week trips on Maine's most remote and wild waterways. Contact us to sign up for a scheduled trip or to create a custom adventure. Premium hunts for the discriminating sportsman. McNally's Ross Stream Camps are located in zone 1 on Chemquasabamticook Stream which dumps into the west side of Long Lake which is part of the Allagash Wilderness Waterway. We are an american plan sporting camp that can be driven to, all cabins have running water, flush toilets and showers. I have been guiding Brook Trout fisherman, grouse hunters, Deer, Bear and Moose hunters for over 25 yrs here in the most remote areas of northern Maine. At Northern Hideaway Outfitters, we offer true remote cabin bear hunting in northwestern Maine. Our hunting camps are located more than 50 miles from the closest U.S. town, behind the gate system of the North Maine Woods. You will be staying, hunting and fishing in some of Maine's most remote woodland. Offering Northern Maine, remote or camp based guided hunting and fishing trips that cater to one on one personalized service for our guests. Also offering camping and canoeing trips. Located in Allagash Village at the confluence of the Allagash and St John Rivers. We offer guided bear, moose and grouse hunts as well as fishing trips. Shuttle service for Allagash River trips with canoe and cabin rentals. We are the areas premier processor of game. We have been in business for over a decade and we are not moonlighting for extra money. Full service processors handy to all northern Maine hunting zones, we have on-site refrigeration, vacuum sealing and FREE delivery anywhere along the I-95 corridor. No add-ons or additional charges. We are affordable, fast, friendly, clean, and offer the highest quality processing available. Used by hunters for the hungry and hunt of a lifetime, we are the best around and our prices won't be beat! Have your Moose back when you want it back, including same day when space permits.